Capital Group is a multi-faceted company striving to provide its customers with the absolute best. Capital Marketing Services was established in 1998 as a distribution company, which now has expanded to provide various supply chain services to its extensive range of clients. 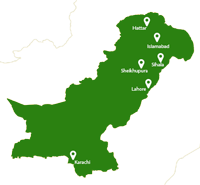 The services include transportation and warehousing all over Pakistan. Capital Food Industries is a sweet and savory snack manufacturing company. It was established in Hattar Industrial Estate, KPK in 2001 and sells its products mainly in Upper Punjab and KPK. It’s current brands include U&Me, FastTrack and Sohni Dharti. The main products are various types of sweet biscuits and salty chips.